If the will is fake, what happens next? In August 2013, Lynn Day Arsenault was shot to death by a man she didn’t know. 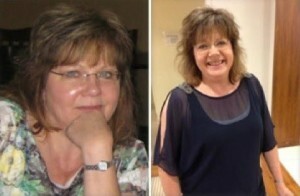 A few months later, her surviving spouse and fourth husband, Donald Arsenault, showed up with a supposed will that left him all of her assets and left nothing to her three adult sons. Her sons doubted that this could actually be her last will and testament. After all, she had been very generous, caring and helpful to them thorough out their lives. After a two-day trial which included testimony by a handwriting expert, the Waldo County Probate Judge found that the document presented by Arsenault was fraudulent and the signature forged. She therefore decreed that Lynn Day Arsenault had died intestate and that her sons are her true heirs. The spouse had already sold a house she owned without court approval and the location of her other assets has not yet been determined. Whatever they are, the spouse will receive nothing. Whether he will be prosecuted for attempting to pass off a fake will as real is still up in the air. More than 50% of people in the United States die with no will and, in actuality, Lynn Day Arsenault was one of them. Don’t leave your estate in a mess; be sure that you have a legally executed will and if you think there may be disputes between a spouse and children from another marriage, tell your legal representative where that will is located. That way, there will be no dispute when you die and no question of whether your will is real or not. 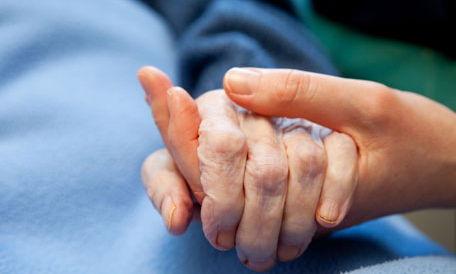 For more information about end of life planning and will preparation, go to our website www.diesmart.com. This entry was posted in Wills and Living Trusts and tagged diesmart, estate, personal representative, Probate, surviving spouse, will, witness on June 19, 2016 by Minna Vallentine. Seen a digital assets & legacy infographic? We came across a very easy to read and understand infographic. 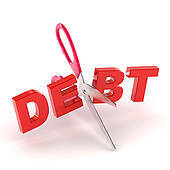 It provides important information about estate and digital asset planning. Although the data is based on a survey done in the United Kingdom, the figures are probably very similar to what would be found if the same survey were done in the United States. In light of the digital all-encompassing digital world in which we live, it’s especially amazing that almost 75% of people believe that it’s important to be able to view a loved one’s social media presence after their death. Yet less than 5% of those people have used the Facebook and Google tools available to enable this to happen. Less than 10% of people have made any plans for their social media accounts to remain active after they die and only 3% have made any plans for purchased digital assets. Only about half of the people queried have shared with anyone the password for their mobile phone or computer. Digital planning is a critical part of putting your estate plan in place prior to your death. 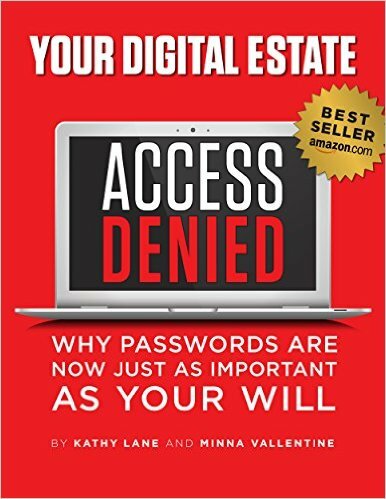 Otherwise, your wishes may not be carried out and, even more importantly, your heirs may not be able to access your online assets. Since no one knows when he or she is going to die, it’s important for everyone to take the necessary steps and put together a legal estate plan now. 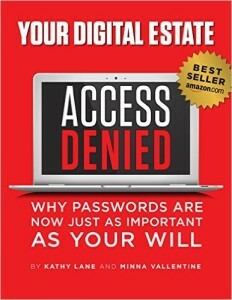 For more information about digital estate planning, go to www.diesmart.com or purchase our book ACCESS DENIED: Why your passwords are now just as important as your will. This entry was posted in Digital Assets and tagged diesmart, Digital assets, digital legacy, Estate Planning, password, Probate on June 12, 2016 by Minna Vallentine.